The above are literally all the phone sizes we test, support and deploy on. There are of course other phone resolutions and aspect ratios out there, and in the early days of Android there was a lot more experimentation going on with these. For modern apps like ours though, which support Android 4.0 and above, the landscape is much nicer. That’s the beauty of Android’s massive market share, we can ignore all the people with phones running Android 2.3, those with odd and rare screen sizes, and target only 4.0 and above. The resulting group of people is comparable, if not bigger, than the users we target by being iOS 7 only in our iOS apps. 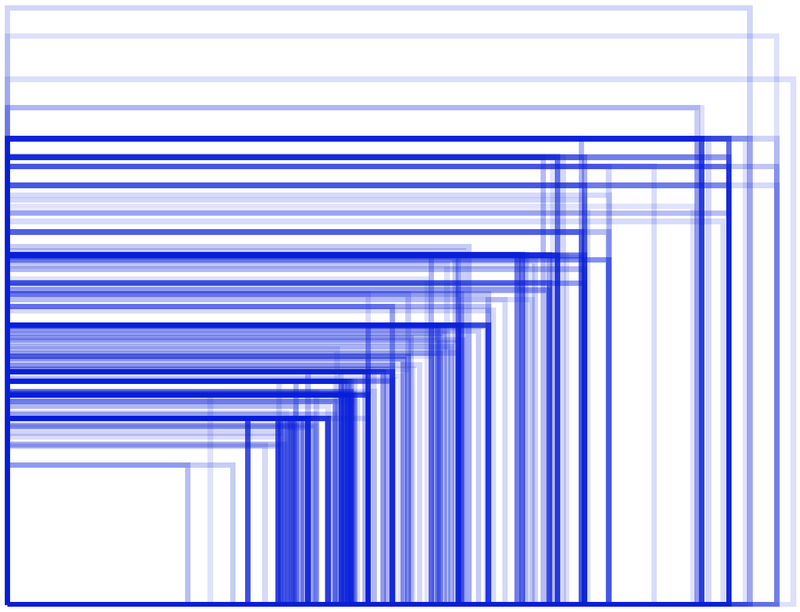 Don’t get me wrong, fragmentation certainly exists in Android, but screen resolutions and sizes are not the main issue. The above diagram and analysis also only take into account phones, not tablets, where designing for physical screen size becomes more important than resolution.